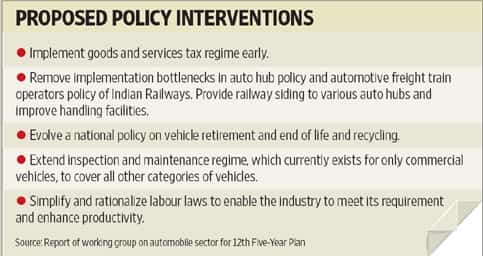 New Delhi: The government should allocate around ₹ 5,000 crore for the auto industry under the 12th Five-Year Plan, mainly for research and development (R&D), a panel set up by the Planning Commission has suggested. Of this, ₹ 740 crore should be allotted for R&D in electric and hybrid vehicles, and ₹ 990 crore for the remaining schemes of the National Automotive Testing and R&D Infrastructure Project (Natrip), it says. The rest of the ₹ 2,542 crore should be used to complete pending projects of the 11th Five-Year Plan. “Research work in the field of electric vehicles will take projects in collaboration between academia, industry and a foreign technology provider," said an official of the department of heavy industries, requesting anonymity. “We are in dialogues with Fraunhofer and a few others in Holland." Fraunhofer is Europe’s largest application-oriented research organization, its website says. In the 2011-12 budget, finance minister Pranab Mukherjee announced a plan to promote the use of electric and hybrid vehicles and to reduce dependence on fossil fuels. 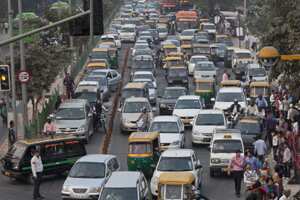 Later, a study was conducted by Booz and Allen and the Society of Indian Automobile Manufacturers to determine the demand for electric and hybrid vehicles in the nation, Mint had reported on 6 September. The working group report also proposes to create an auto component technology development fund, which will help auto ancillary companies access finance at reduced rates of interest for modernization and technology acquisition. “The proposed scheme...would be used for financing 50% of the project cost by way of soft loans, with an interest subvention of 4% to be met from fund corpus," the report said. The corpus of the fund will be at least ₹ 2,500 crore, said the official cited above. “This is somewhat like TUF (technology upgradation funds) loans, which the government gives to other sectors such as textiles," said Mahantesh Sabarad, senior vice-president (equity research), Fortune Equity Brokers (India) Ltd. “These are provided to encourage small- and medium-size enterprises in a particular sector. It’s a good move as far as the auto sector is concerned. But the corpus is very small. So it is difficult to say how many companies will get that loan." India’s auto component industry has an opportunity to tap a potential ₹ 5.4 trillion market by 2020 and can be an engine of the country’s economic and manufacturing sector growth, according to an Ernst and Young report.